Mission: threewalls was founded in 2003 to provide greater support and visibility for the visual arts community in Chicago. The founders wanted to encourage a greater awareness of Chicago’s art scene by inviting emerging professional artists to Chicago to share in the city’s rich histories, resources and creative communities. 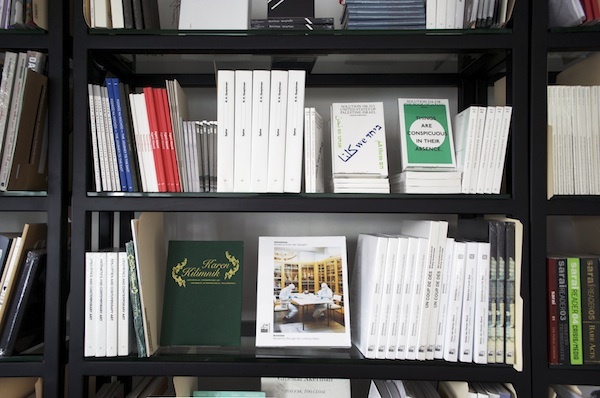 In an effort to provide meaningful support to emerging artists, curators and writers, threewalls has worked to form a sustainable organization that provides exhibition space, residency opportunities and artist fees to both visiting artists through the residency fellowship and to regional artists through the SOLO program. Today, threewalls operates a year-round self-directed research residency; commissions a major project by a visiting artist working in, collaborating and otherwise interacting with the region; supports four SOLO exhibitions of work by local and regional artists; programs a SALON series and symposium program to generate open dialogue, presentation of new ideas and the publication of new writing; as well as partnering with other organizations on publications and education, in an effort to broaden and contribute to the contemporary visual arts. 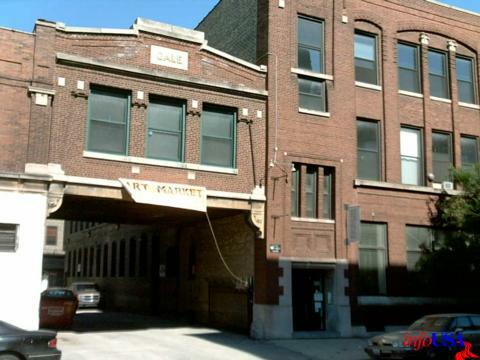 The Artist-in-research residency at threewalls offers opportunities to curators, artists, critics, creative administrators, and visual arts researchers to live and work in Chicago and take advantage of the unique resources offered in the Midwest. threewalls provides a home-base for that work, with connections and affiliations to a broad range of organizations small and large throughout the region. We are looking for residents who want to become part of a vibrant artist-led organization, which hosts and produces exhibitions, public programs, conferences, discussion series, artist commissioning projects, and publications. We have a dedicated audience and offer access to a growing network of regional, national and international artistic communities. We welcome cultural producers who are interested in writing, reading, organizing, publishing and teaching as a creative practice, have a sense of humor and a desire to challenge themselves and their work. We can accommodate collectives and collaborative projects. Cost: The residency costs $200/week. A limited number of fellowships will be available. Selection is based on quality of work, proposed project or research and its relevancy to Chicago and the greater Midwest region in the residency application. As an option to residents who want to offset costs, threewalls has a curated kickstarter page where we can highlight artists’ campaigns to raise money for their stay. We’re also open to other fundraising ideas or possible events, so please let us know how we can help you out. Accommodations: An apartment space with private lockable bedroom with adjacent office/studio space (200 sq feet), a shared kitchen and a workshop with basic tools located behind the exhibition space and office. 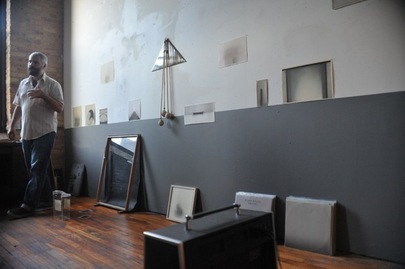 150 sq feet gallery space with separate entrance that is connected to threewalls main gallery. It can be used for exhibitions, events, reading groups, shared meals, extra studio space, etc. While the residency is mostly self-directed, threewalls staff will connect you with with local organizations and curators for studio visits and possible collaborations. 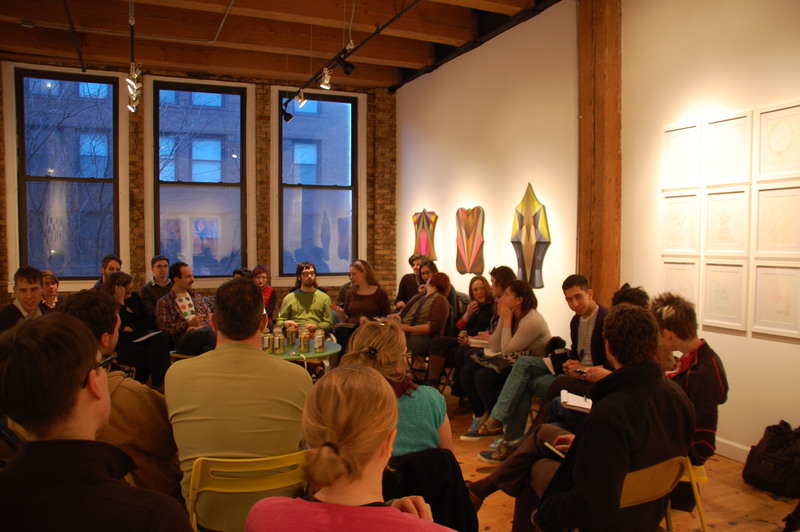 Residents also have access to our residency advisory board, which represents a diverse group of artists, critics and curators in the Chicago art community. We will include residents’ events and projects in our web and email marketing. Demographic/Medium: Projects can include film, intervention, public installation, pedagogical experiments, publishing, recording, performance, curating or more traditional studio practices. An emphasis on interdisciplinary research, collaboration, and proposals that take our region and its communities and institutions as a specific site of inquiry are of interest, but not required. Since we have a gallery space specifically for resident use, projects with a public component are encouraged. The Artist-in-Research Program is a laboratory for experimentation and critical dialogue, and therefore we do not have any expectations for the completion of artwork or projects. Benefits: Exhibitions, public programs, conferences, discussion series, artist commissioning projects, publications, critical dialogue, threewalls staff will connect you with with local organizations and curators for studio visits and possible collaborations, 150 sq feet gallery space, An apartment space with private lockable bedroom with adjacent office/studio space (200 sq feet), and a limited number of fellowships will be available. Residents also have access to our residency advisory board, which represents a diverse group of artists, critics and curators in the Chicago art community. We will include residents’ events and projects in our web and email marketing. threewalls also hosts a collaborative session each August with Harold Arts in Chesterhill, OH. Deadlines for application are in May. Posted in Illinois, threewalls ResidencyTagged administrators, apartment, art residency, art scene, artist in research, Artist Residency, artistic communities, artists, bedroom, challenge, Chicago, collaboration, Collaborative, collectives, community, conferences, contemporary, creative administration, creative practice, critics, curating, curators, Discussion, education, Emerging, events, exhibition space, extra studio space, Fellowship, fellowships, Film, Gallery, gallery space, Hand in Glove, Heartland, humor, Illinois, interdisciplinary research, International, intervention, kickstarter, kitchen, laboratory, live and work, local, major project, midwest, national, new ideas, new writing, open dialogue, organizations, organizing, pedagogical experiments, Performance, professional, public installation, public programs, publication, publications, publishing, quality, Rate My Artist Residency, reading, reading groups, recording, regional, regional artists, research, residency, series, shared meals, SOLO exhibitions, SOLO program, Studio, studio visits, sustainable, symposium, teaching, threewalls, threewalls Residency, tradtional studio, Visual Arts, workshop, Writers, WritingBookmark the permalink.